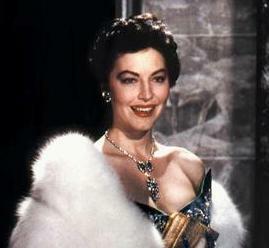 My "favorite" memory of Ava Gardner was her role as Remy in one of the best bad movies ever, "Earthquake".(1974). She played Lorne Greene's daughter and was only 7 years younger than him in real life. I may have seen other movies with her but this is truly one of her worst performances. I lived (still do) in Utah and IIRC, we had some minor earthquakes during that period, and my wife was pregnant for most 1974. We went to see the movie in a downtown movie theater and they played it in Sensurround I think it was called.